The main hall with a stage can be used for parties, receptions or special events. Can also be used for large meetings that seat 160 guests. 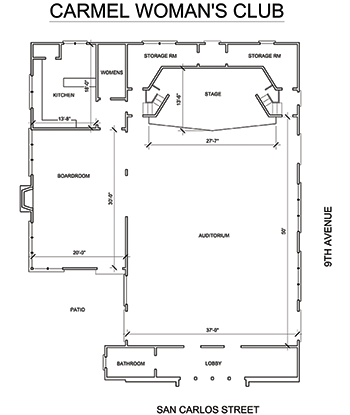 Has a large room adjacent to the main hall and a large kitchen with a stove and 2 dishwashers. Also had a lovely brick patio next to and accessible from both the main hall and the adjacent room. Please see our availability calendar and fill out our rental request form.